I'm feeling adventurous and flighty these days. I love living in Los Angeles, but I think it's time for a trip or two. 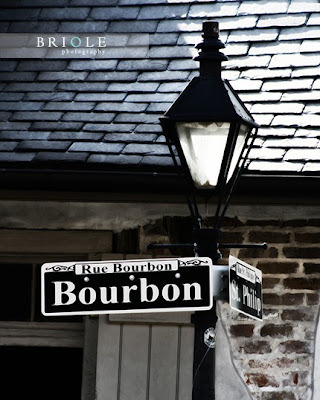 I have a couple of dreamy destinations in mind- one being New Orleans! I've been in love with that city since childhood, yet I've never actually visited. The jazz, the architecture, the food and gardens! what happened to your Europe trip?? i forgot where...france? are you still going? i definitely think you should go explore!!! i'm so excited about our Boston trip...just cause i never been there and i want to see somewhere new!! i have a goal to stay in every timeshare place we have in our network just to explore new places!! Awwww . . . I went to college in New Orleans, and I'm so nostalgic for it! That city has more culture & spirit than any other city I've been to. Oh you need to go! My husband and I went to New Orleans about 5 years ago and loved it. Great city! New Orleans would be great. I wouldn't mind the south of France. Actually, Prince Edward Island which is only 2 hours away would do. I am day dreaming about a Mexican villa vacation. Sipping margaritas and reading by the pool. New Orleans is wonderful. It's my favorite city in the US, particularly for food. My favorite restaurant is Galatoire's. I love their "Trout Almondine". It has the true flavor of old New Orleans, but I'm sure there are wonderful new restaurants, too. Be sure to go to Cafe DuMonde for beignets and chicory coffee. I adore jazz...We go every Wed evening for a jazz night :) I always look forward to it. We are planning to go to Italy or Greece this summer! New Orleans is so much fun! I REALLY want to go to New Orleans too! My girlsfriends and I were thinking it might be our next girls weekend away destination - replacing the tried and true, Vegas. London is always on my mind - I have a long-standing love affair with London - but somewhere tropical, like Hawaii, definitely doesn't sound bad! I've always wanted to visit New Orleans too..have some friends there..heard the sea food is the best!